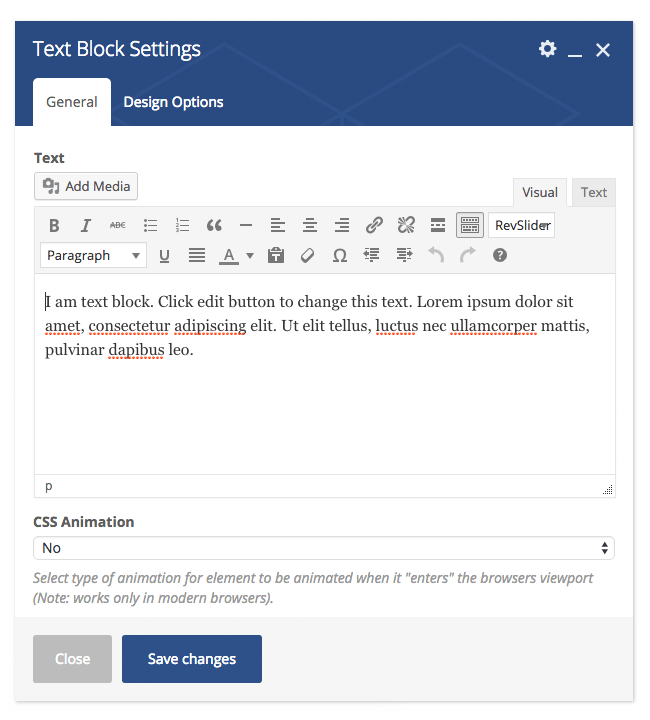 WPBakery Page Builder release 4.7 is here to boost your content management process through huge improvements in performance, new features and user experience (UX). During this summer release WPBakery team were focused on providing release that will take page building process to the next level by offering new tools and mechanisms for even faster content management. In addition we have done a lot of job in order to improve existing functionality in terms of both – standardization and performance which has been on our horizon for a while. With more and more options available in WPBakery Page Builder core there were need to work on performance in a more detailed manner. Each of WPBakery Page Builder releases had improvements in terms of performance, nevertheless we felt that more detailed work must be done in this area. WPBakery Page Builder 4.7 offers significant performance improvements by incorporating lazy type initialization of parameters. These changes has given so necessary boost to performance in order to experience fastest page building process out there. WPBakery Page Builder update 4.7 offers enhanced user interface which is based on well known layout you are familiar with. In addition it offers so necessary window resize feature which will help you quickly adapt element param window size to fit desired editing style and behaviour. Now you are able to resize WPBakery Page Builder window for example while working with WYSIWYG editor which has been constantly requested by WPBakery Page Builder users. This is the feature you have been waiting for a long time and we are very pleased to finally offer you the option to save chosen element parameters as a preset and even set them as default values. Now there is no need to style same type of buttons again and again every time you add them to your WordPress site. With Element Presets you will need to build preset only once and then apply it either as default or with one click only. Such approach will surely save you tons of time and can be surely considered as a feature which is not available in any other page builder on the market as it combines well known template mechanism with element styling options. Thanks to huge popularity we have decided to update list of predefined layout templates available to users out of the box by including 20+ new templates. As always we have attracted pro web design experts in order to offer flexible and multidisciplinary designs that can be used by different businesses and individuals. New templates are based on the latest trends in web design and incorporate all hot features available in WPBakery Page Builder. We have introduced full standardization of Single Image and Image Gallery elements in order both of them offer same applicable options. Both elements now include captions resulting in better SEO which is a must for modern WordPress business site. Another huge improvement for Single Image and Image Gallery elements is option to accept external images from any Internet resource by providing direct link to desired content blocks. Based on user requests and usage statistics analysis we have added Design Options tab to all WPBakery Page Builder content elements. Such step allows even more styling and manipulation options for the elements which did not had such functionality before. In addition to standard Design Options features we have decided to enhance it by incorporating border radius parameter which will allow you create more visually appealing layouts and content blocks. As always there are plenty of minor things that we have improved during release like adding more width options to Separator elements, allowing usage of H1 tag in Custom Headings, Zoom option for Single Image and so on. Even those are really small things we are sure you will find them useful for your WordPress site. A lot of ideas included in this release are coming from user requests so we would like to thank all of our users who are constantly sharing their thoughts on how to make WPBakery Page Builder better.